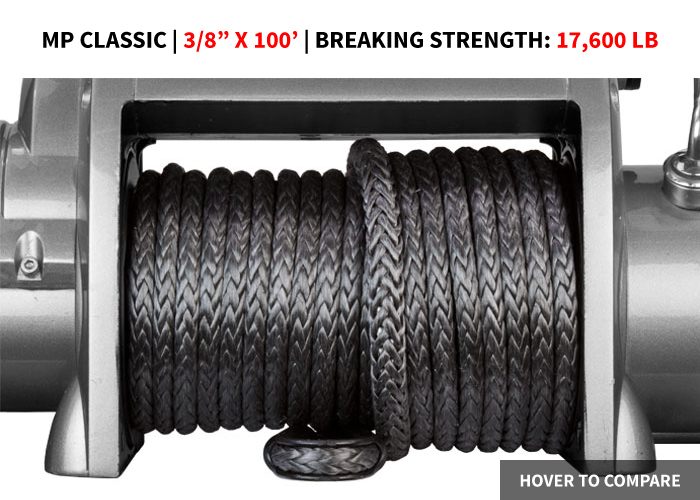 Winch Line | Synthetic Winch Rope | Superline Black 7/16"
The 7/16" Superline® Winch Line works best with winches ranging from 15,000 - 24,000 lbs. For more information on what length/diameter to choose please reference our Winch Line Guide. What makes the Superline® so super? Well first off, it’s pre-stretched and heat-treated construction gives it unparalleled strength. 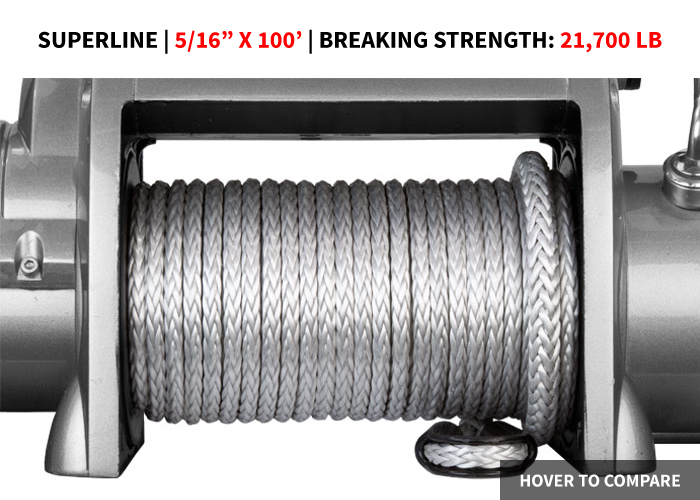 In the case of the 7/16” (11mm) Superline, the breaking strength is 36,500 lbs - that’s 6,000 lbs stronger than our 1/2" (12mm) Classic winch line! Not only does this increase safety, but it allows you to install a smaller diameter line on your winch so you save space on the drum and the winch works more efficiently. The Superline® also has excellent abrasion resistance and is coated with a heavy duty polyurethane coating for UV and chemical resistance. Combine that with only the highest quality hardware and high heat resistant Technora drum protection, and you have a winch line that is worthy of the toughest vehicle extractions. Your winch will work more efficiently. The further the winch line is from the center of the drum, the less pulling power the winch will have. Using a smaller diameter means that each layer of line is closer to the surface of the drum than a larger diameter line would be. In many winching scenarios it can be difficult to ensure the line is spooled on the winch neatly and the line can get bunched up on one area of the drum. This can allow the winch line to contact the winch housing or winch mounting plate, which can cause damage to the line or the winch itself. Hover over the graphic below and you can see how much less room a 5/16” Superline® takes on a winch drum compared to our 3/8" Classic winch line. Note that the 5/16” Superline® is even 4,000 lbs stronger! 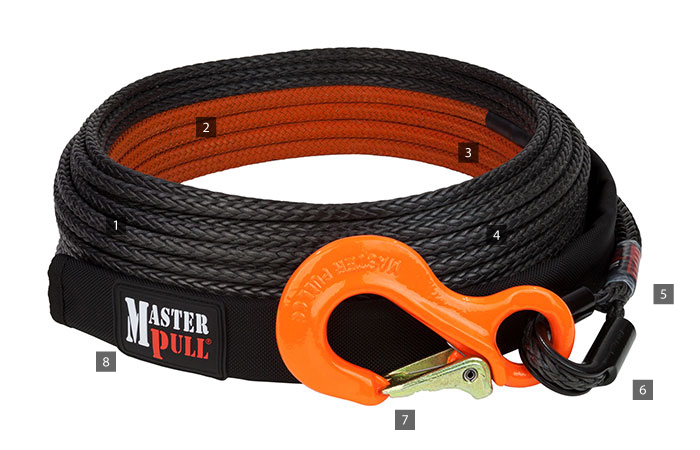 Click the button below to add the 11mm (7/16") Superline Black Winch Line - 36,500 lbs to your wish list.